Soy from tofu and soymilk may be protective against and used to treat chronic obstructive pulmonary disease. Daily consumption of one or two servings of soyfoods like tofu is associated with improved survival and lower recurrence rates in breast cancer patients. Tofu consumed as part of a whole-foods, plant-based, low-carb diet may reduce LDL cholesterol levels. Comparing the soyfoods: edamame, tofu, and tempeh, tempeh is considered the most nutritious. Tofu can be used to make a healthy pumpkin pie and healthy chocolate pudding. Seven or more servings of soy foods per day is not recommended, 3-5 servings may be the healthiest amount. 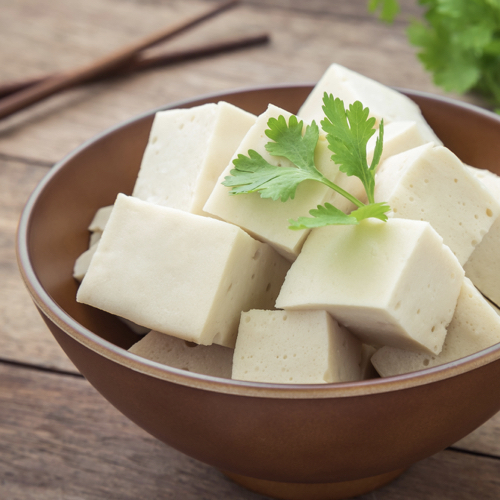 The addition of formaldehyde to tofu, not the tofu itself, may cause memory loss. Image Credit: Amarita / Thinkstock. This image has been modified. Are there any benefits of garlic powder for treating mild-to-moderate lead poisoning?